It costs hundreds even thousands of dollars to hire a pest exterminator. 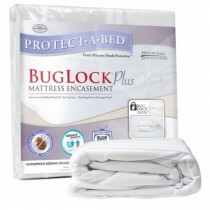 Ensure you are safeguarded by placing box spring and mattress encasements products on your beds. 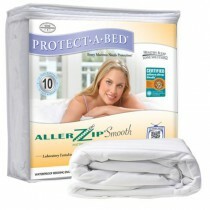 Zippered Mattress Encasements are perfect for home use or in a hotel setting. 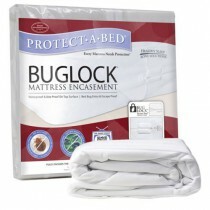 Choose from bed bug mattress encasements and box spring encasements to have the entire bed protected. This also protects your investment for user with incontinence or when spills and other accidents occur on the waterproof mattress encasements since they are made with waterproof materials. The material is breathable to not build heat but traps in dust mites, pet dander, mold and other allergens. This is helpful for people with allergies and having this technology can relieve asthma and other respiratory issues. When spills occur, it's easily wiped away without removing the mattress encasement. 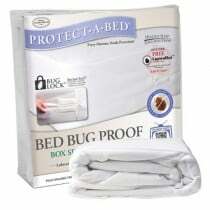 Manufacturer Protect-A-Bed uses patented technology and its products undergo extensive lab testing to provide peace of mind that it's certified bed bug-proof. Both the mattress and box spring encasements wrap around the entire mattress and box spring to have 6-sided protection, complete coverage on all sides. The zippers are patented BugLock Zipper to prevent entry however it's also escape proof and bugs won't have a food source and will die should the bed be contaminated upon placement of zippered mattress cover.